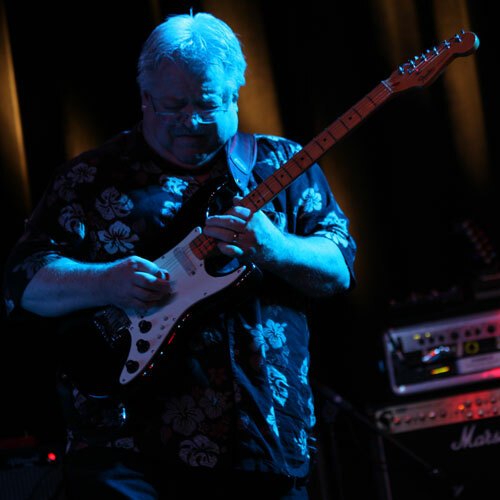 Former son of Cedar Rapids, IA, Craig Chapman is a self-taught guitarist who joined his first band at 13 after falling in love with the drummer’s sister! He’s been playing music ever since, and “married the girl”. He and wife Cheri now live in Central WI and have three beloved kids. The couple and their youngest daughter are worship leaders at their church. James graduated from the University of Wisconsin, Stevens Point in 1989 with BA degrees in Theatre and Music. His musical journey began when his parents bought him a beginner’s organ when he was six. Two years later a piano was added to the family home and he’s been in front of a keyboard ever since. 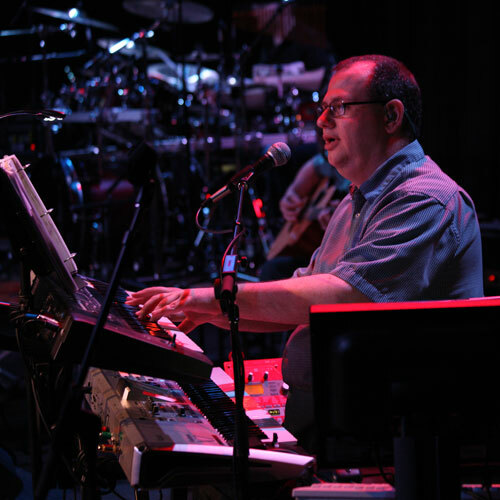 As Music Director for Matt & Sherry, James spends his time between CityPrayz events writing song charts, rehearsing with the band, and making sure that all of the musicians have what they need for the next event. He attends New Life A/G Church in Sparta where he was the Music Director and Worship Leader for 11 years and has been with Matt & Sherry since 2002. David was born and raised in Austin, MN. He started playing drums in 5th grade and hasn’t stopped since. 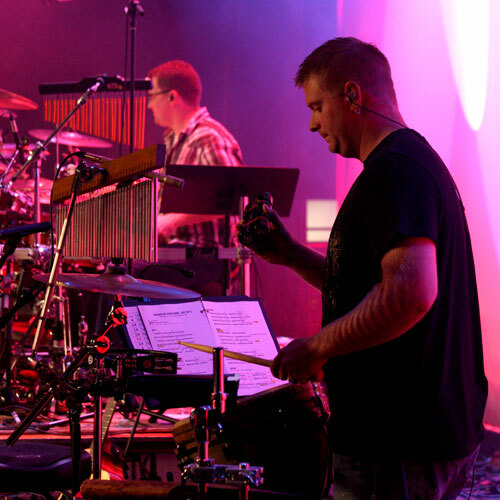 After graduation he spent two years traveling around the U.S., Canada and Australia playing drums for two different groups that combined music and ministry. After returning home to take a break from life on the road, he began working for Mathews Archery. 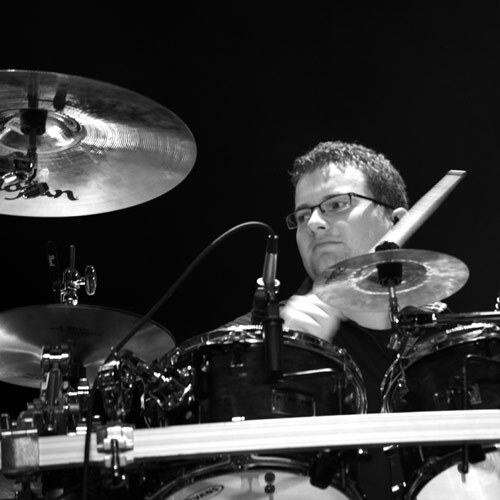 He has been playing drums with Matt & Sherry since 1995. David is also a part of his church worship team. In his spare time, you can find him teaching private lessons, coaching soccer and spending his time at home with his wife and three kids. Matt has been playing guitar since age 13. 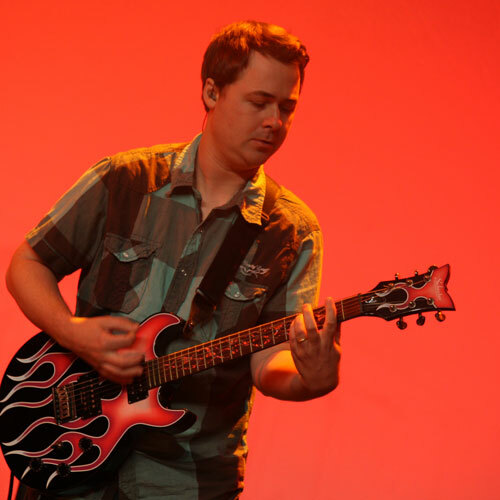 He has been in numerous Christian bands and is currently in two different worship bands during the week. He was born and raised in Warrens, WI and still resides there. He married Christina in 2006, and they attend Faith Evangelical Free church in Sparta, WI. 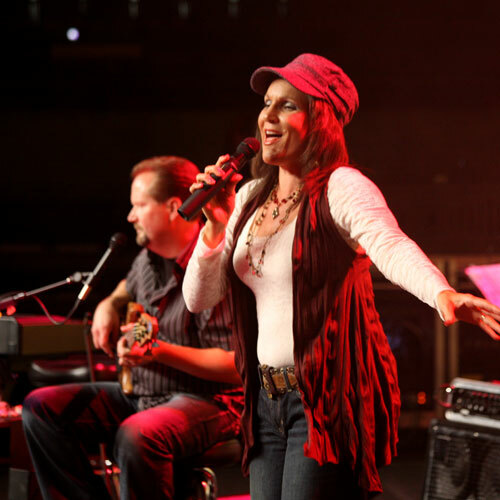 Singer/songwriter, Toni Groshek, has worked as a freelance musician in classical, pop, and Christian music for over 20 years with a masters degree in vocal performance. 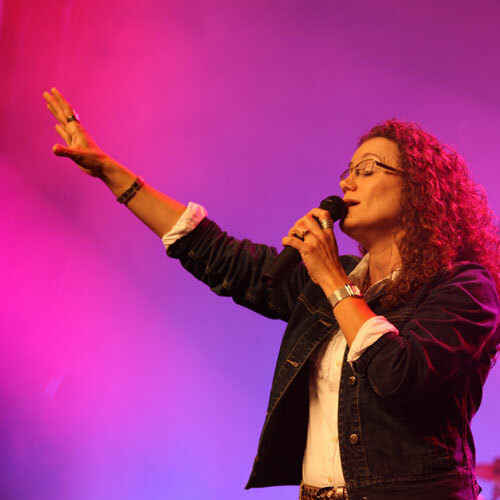 In 2009, she created her solo worship program, The Life Of Christ, and continues to perform it in churches and on campuses around the coulee region. Toni and her husband, Dale, are recording and producing her debut album Red Light—Green Light, release date….sometime before she dies. Her debut original single, Fill Me Up, (iTunes, cdbaby.com) was recently featured on the nationally syndicated radio broadcast, The Christians’ Hour. You can find out more about The Life Of Christ, view her performance calendar, and hear her original music at tonigroshek.com. Anna is the daughter of CityPrayz guitarist, Craig Chapman. 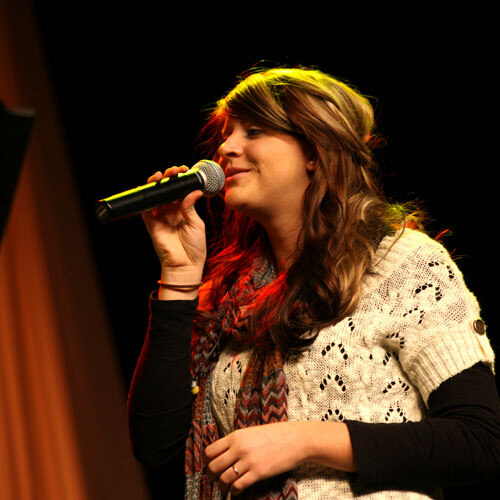 She has been part of her parents’ worship team at her home church in Ontario, Wisconsin since 2002. She started singing at a very early age including sporting events, weddings, and other civic events. Travis has been playing drums since he was 4. Since 2005, he has been the Vice-President of String Swing Displays in Ontario. He and his wife Ashley have been married for 5 years and have 2 children: Brayden & Ellie. The couple are worship leaders at Mt. Pisgah Wesleyan Church.